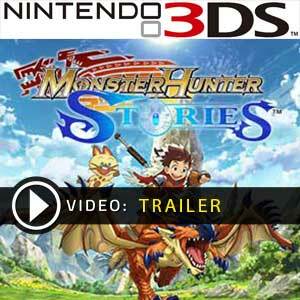 Find all Nintendo 3DS Download Code stores and prices to download and play Monster Hunter Stories at the best price. Save time and money: Compare CD Key Game stores. 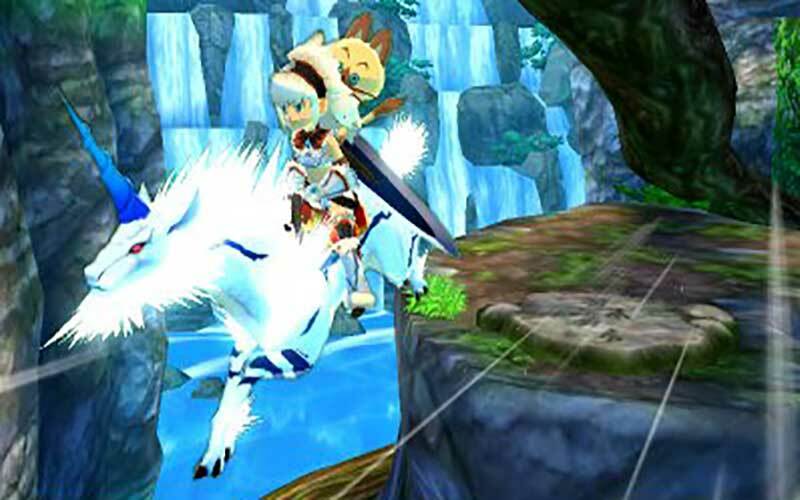 Activate Monster Hunter Stories Download Code on the Nintendo eShop to download your 3DS game. You can participate to these tests by adding comments about your Nintendo 3DS Game Code purchase in the store review page. Enjoy the best deals for Monster Hunter Stories Game Download Code with Allkeyshop.com! 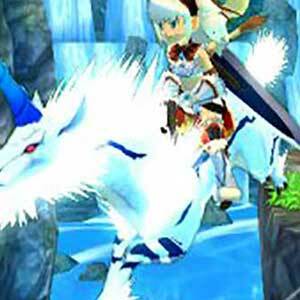 Monster Hunter Stories is an action, adventure, role-playing video game that is developed by Capcom and published by Nintendo. Your remote village is attacked by a monster that is infected with the Black Blight. This will force you into a journey into the dangerous world where you will have to be in alliance with monsters! If you are intimidated by the Monster Hunter Universe, then this is the perfect entry point for you. Get on exploring and look into monster nests and collect eggs. Hatch these eggs and collect unique monsters with different powerful skills. Get to form your teams and bring them into battle with you. 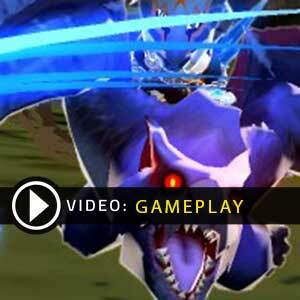 Use your combo attacks and eliminate your enemies! 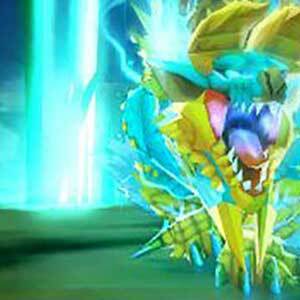 Get to create new monsters by mixing and matching the genes of different kinds, by doing this, new abilities are born with the new monsters. Enjoy the game’s storyline as well as the many side quests that you will encounter along the way. The turn-based battles with an instinctive rock-paper-scissor combat system is a first for the franchise which you will surely enjoy. Another fun thing is that you can battle other players online or locally with the 3DS Street Pass! There are 12 offers ranging from 20.52€ to 45.38€. JAPAN BOX GAME : This is a Japan import of Monster Hunter Stories 3DS in Box Edition (DVD-CD ROM). This is not a downloadable product. Please read the sellers page for any additional costs (taxes, shipping), delivery time for your country and languages available. BOX GAME : This is Monster Hunter Stories 3DS Box Edition (DVD-CD ROM). This is not a downloadable product. Please read the sellers page for any additional costs (taxes, shipping), delivery time for your country and languages available. NINTENDO GAME CODE EUROPE : This is Monster Hunter Stories 3DS Download Code for Nintendo Europe Console. Use the Digital Game Code on the Nintendo eShop of your Console. Once connected to the Nintendo eShop, you can enter and redeem the Download Code. Read carefully the store description about any language and region restrictions. 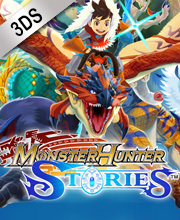 US BOX GAME : This is an US import of Monster Hunter Stories 3DS in Box Edition (DVD-CD ROM). This is not a downloadable product. Please read the sellers page for any additional costs (taxes, shipping), delivery time for your country and languages available. NINTENDO CODE : This is a digital code for Monster Hunter Stories 3DS. Use the download code on the Nintendo eShop of your Console. Once connected to the Nintendo eShop, you can enter and redeem the Download Code. Read carefully the store description about any language and region restrictions.